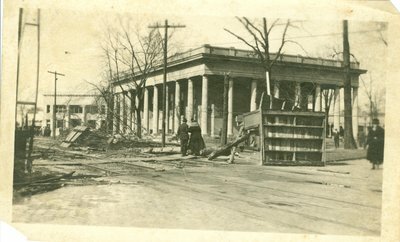 View of the village hall after the tornado of 1920. Full name of photographer unknown. In pencil on reverse: Photo by Wald. The Village Hall after the cyclone in 1919 [sic].